A couple of weeks ago while in Atlanta I was fortunate to be able to attend a private dinner at the Georgia Aquarium. I have to tell you that I was pretty excited to go to the world’s largest aquarium and the fact that I was going to be able to take in the galleries while the aquarium was closed to the public was icing on he cake. During the dinner in the ballroom we were able to enjoy a pretty spectacular backdrop, the Ocean Voyager exhibit. This exhibit was created to house whale sharks, the largest fish species in the world, so you can understand why this particular tank holds 6.3 million gallons of water. In addition to the four whale sharks, there were also four manta rays which were beautiful. Of course the whale sharks and manta rays were the star of the show, but the stingrays and goliath grouper were also pretty amazing too. Told you they were pretty big. After our dinner we were able to tour the aquarium freely for a couple of hours. 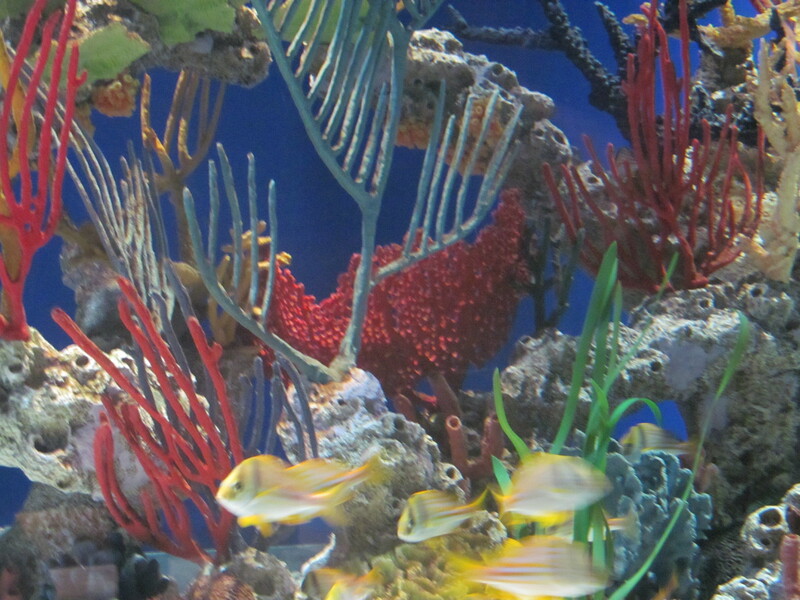 We visited all the regions of the world ranging from the cold ocean waters to the warm coral reefs. 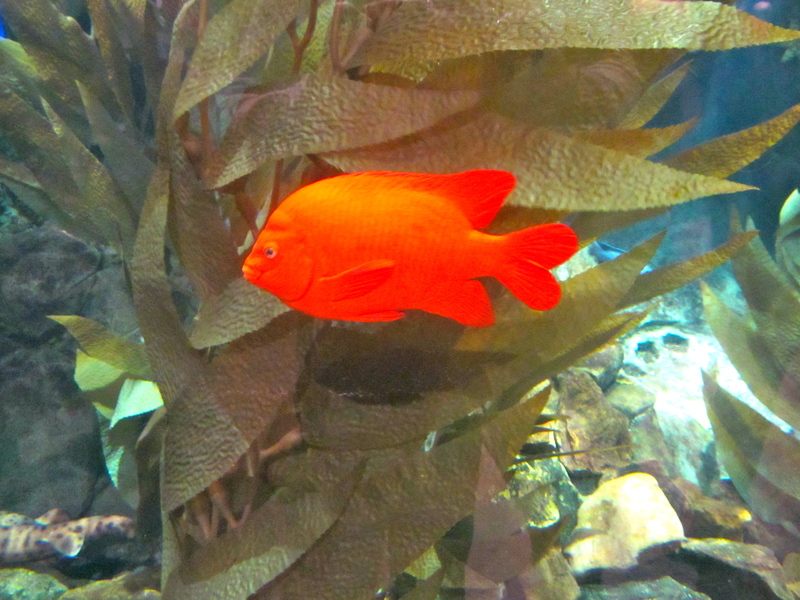 I particularly enjoyed seeing the beluga whales and the southern sea otters in the Cold Water Quest gallery. The sea otters, which are endangered species were adorable and there was a cute little baby snuggled up to its mom. There were several other galleries like the Georgia Explorer where there were many touch pools and interactive exhibits. We saw an albino alligator in the River Scout gallery. In the dolphin tales exhibit, we saw what else…two dolphins entertaining each other. The Frog exhibit which opened up in the beginning of the year had over fifteen species of frogs and many were quite colorful. I really enjoy scuba diving and Key West, so it is no surprise that my favorite gallery was the Tropical Diver. 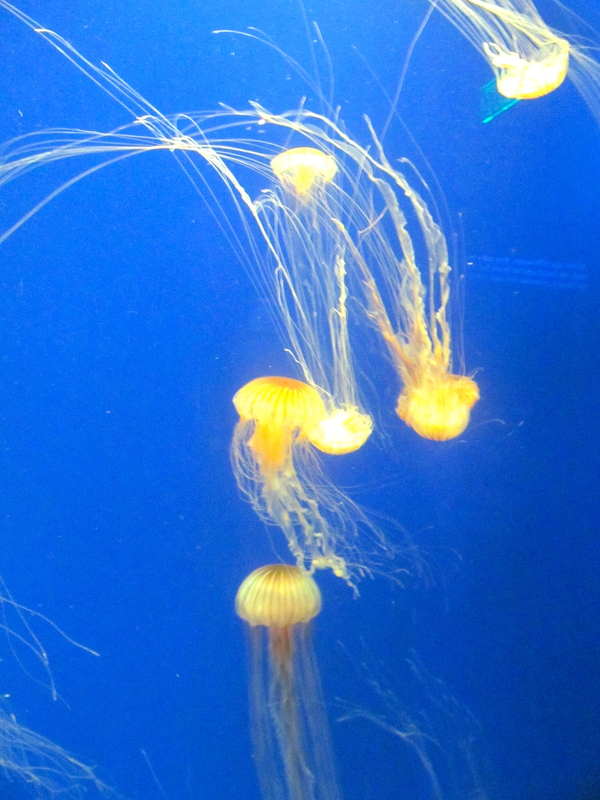 It was so relaxing and we were able to see “Nemo”, seahorses and amazing jellyfish. At the center the exhibit was one of the largest living exhibits which I guess is to be expected since is in the largest aquarium. There was even waves crashing overhead while we sat mesmerized while viewing the living corals, thousands of colorful fish and tiny glass sweepers. My favorite picture from the Georgia Aquarium. 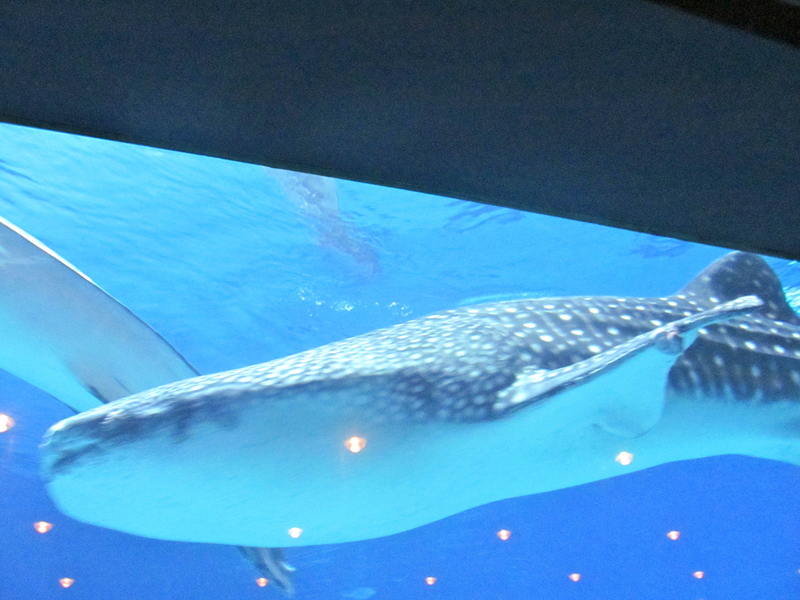 I really enjoyed my evening at the Georgia Aquarium and would love to return with my family. I also really thought the location was perfect for families, so we will have quite a few places to check out. 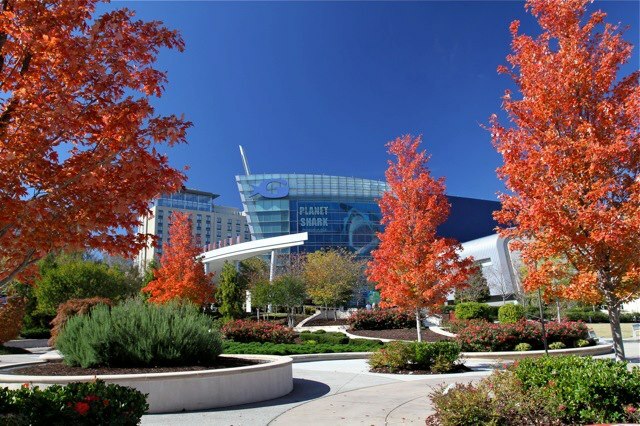 The Georgia Aquarium is surrounded by the World of Coca-Cola, Centennial Olympic Park, the CNN Center where you can tour the CNN Studio and the Children’s Museum of Atlanta. There is no other place that can claim that they are the home of the world’s largest aquarium and the fact that there so many other family friendly things to do makes Atlanta a great place to spend a weekend. What do you think? 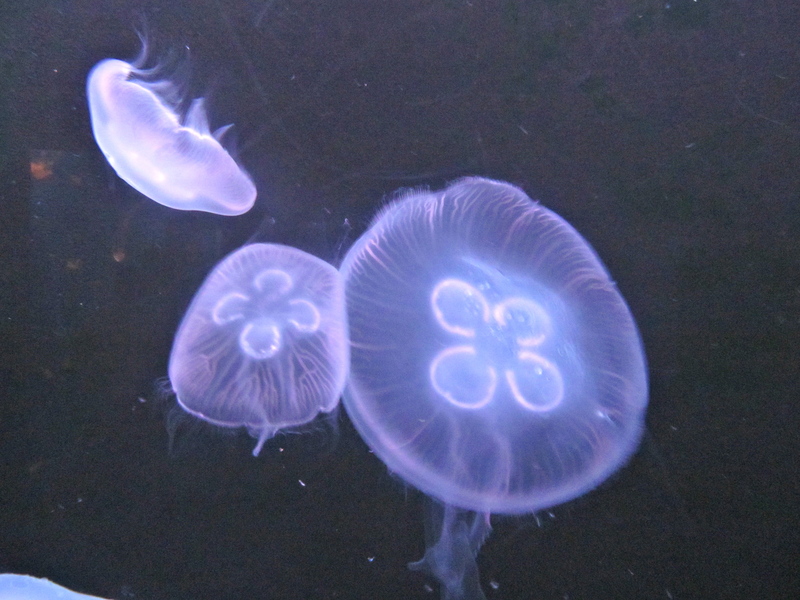 Have you been to the Georgia Aquarium?